1) Will Amazon back out of its current deal to plant the AWS part of HQ2 in Northern Virginia? Sure, reversing the decision would be costly and legally messy … but AMZN has no shortage of money or lawyers. 2) What outcome would make Bezos happy? In normal times, deeper financial incentives would do the trick. But, Bezos obviously wants to be a political mover & shaker, so he may just want to collect political IOUs … or get some “favorite sons” well positioned in the VA gov’t — which is joined at the hip with the Feds in DC and will be pivotal in the 2020 election. 3) How does this mess impact other companies currently or prospectively located in Virginia? Apple must be sighing relief that it picked Austin over NoVA. 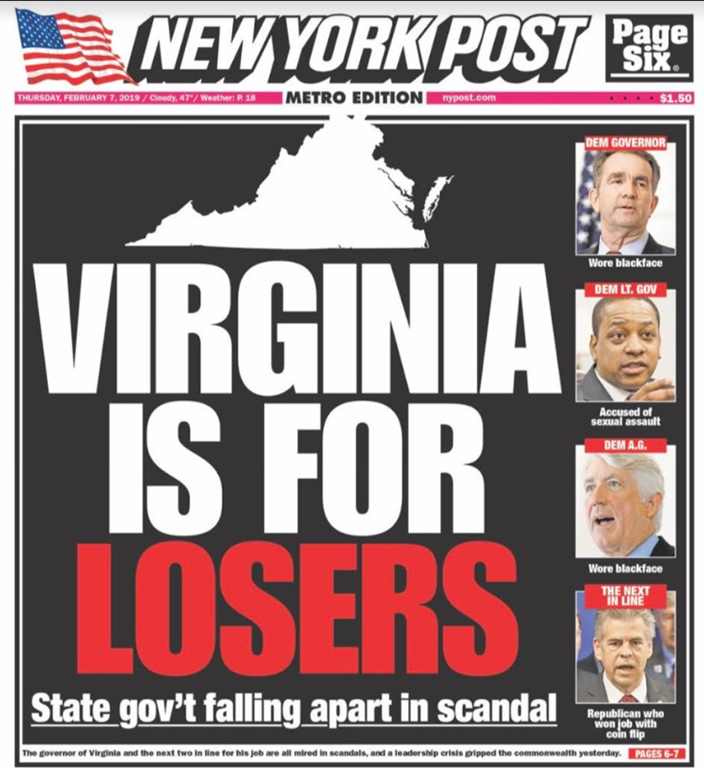 Another simple question: Would you want to be a CEO pitching the Board to relocate to Virginia now? Count me out on that one. All of the attention has been focused on the racial and sexual transgressions … and, on their political repercussions. Too little attention has been given to the economic impacts … which I think will ultimately be determining. This entry was posted on February 8, 2019 at 6:59 am and is filed under Amazon, Economic development, Virginia politics. You can follow any responses to this entry through the RSS 2.0 feed. You can leave a response, or trackback from your own site.